There are many scams that should be avoided that revolve around diamonds. 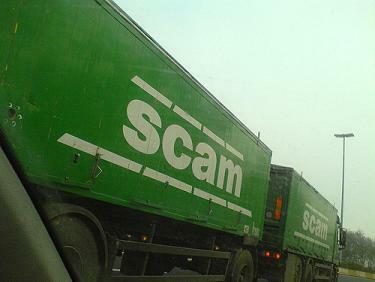 Most of these scams are pretty minor, but there are others that are major and involve bought and sold diamonds. The scams can happen when people who are purchasing diamonds are not knowledgeable about them. It is easy to trick someone who really doesn’t know what they are doing. The jewelry store uses a phrase to describe their pieces of jewelry called the total carat weight. This is the weight of all the stones in a piece. They should give a breakdown of the weight of each stone in the jewelry instead of a total amount. Many people who are purchasing diamonds might believe that the carat weight refers to the larger stone in the jewelry. You will need to ask what the carat weight is of the largest stone or you will not know what you are buying. They are also able to round off the weights of diamonds. Some jewelry stores will use a scam that involves the use of the term blue white diamond. The jeweler will imply that the stone if very special and unique. In fact, this type of diamond is actually a lower quality stone. They will also only show their diamonds under very bright lights. This is to encourage the sparkle and shine of diamonds under light. You should see if you could look at the diamond under darker lighting. Some jewelers will try to take advantage of those that bring in their jewelry for an appraisal. They will tell the person that their jewelry is worthless or not worth what was paid for it. They will then offer to buy the piece from them or offer a better quality diamond in its place. Make sure you get a couple of opinions before you take the word of one jeweler who may be trying to take advantage of you. Another scam that happens frequently is to switch diamonds that have been left for sizing or for a setting. The diamond will be replaced with a stone that is not as high quality as the one that is being left. This can only be avoided by knowing the jeweler you are working with. There are a lot of other schemes and scams that jewelry stores try to pull on the people who come into their stores. Make sure you are using common sense when you deal with a jeweler you don’t know. And when you are buying, make sure you take your time and choose wisely.